International Event-Point interviewed a BMS-student about her experience in Norway. 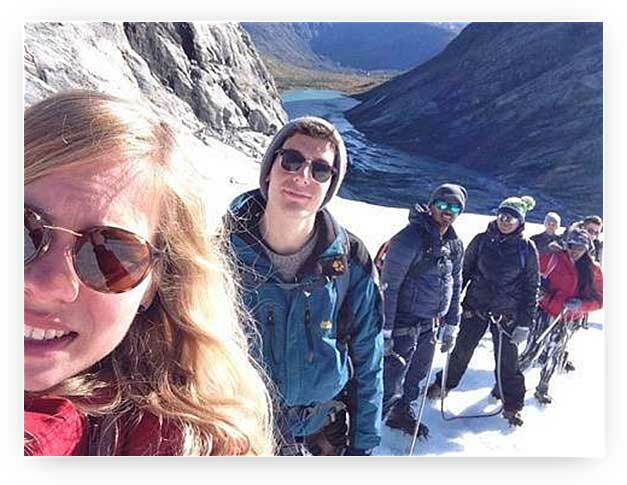 Lea Stork is doing her semester abroad at the University of Agder in Kristiansand. Why did you choose Norway? IAccording to BMS Curriculum, students have to learn a second foreign language and the choice was between Swedish, Norwegian, Russian or Polish. By that time it had become clear that I wanted to do my exchange semester in a Scandinavian country, besides, I chose Norwegian because my parents have friends in Norway. Do you speak fluent Norwegian? I would prefer to say that I understand almost everything, but Norwegians speak quite fast, thus I usually ask them to speak slowly and then I can communicate with them. At the beginning, Norwegians switched to English, but now they continue speaking to me in Norwegian. Were you ready for the semester abroad or did you have to do it because of the scarce time? 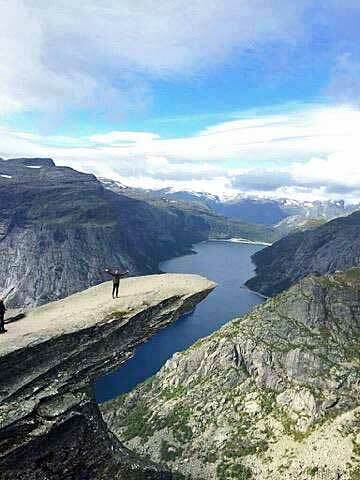 What would you say about Norway? Norway is different from Germany - the landscape, language, and also people. Obviously, it is colder in Norway than in Germany. Many rules are similar to the German ones but Norwegian rules are more strict about alcohol. Also, people like being on their own, and almost every woman works here. Do you work in Norway? Foreigners have to register as citizens if they want to work, as well as they have to apply for a registration number. I am here only for 6 months - it is not worth to register, but I worked as a tourist guide once. Otherwise, if I stayed longer I would have definitely worked. What are similarities and differences between the University of Stralsund and the University of Agder? The University of Agder is much bigger, the education system is more American than in Germany, Norwegians are faster to go for something new, so during my studying here I learn a lot about how to set up a business. Before going to Norway it was difficult to select courses because one course is 7.5 ECTS in Norway but it is only 5 in Germany. It led to changing some courses and adding one more course, so I will have enough ECTS in the end. Besides, I am Erasmus student, the attitude is different, which means a lot of traveling and partying, but broadly speaking the student life is similar. Can you imagine living and working in Norway? If it happens I would like to live in Oslo than in Kristiansand because people are more open-minded in Oslo, as well as the city is more international. Norwegians are really Nordic, so foreigners have to get used to it. What are you going to do after the exchange semester? Thank you for the interview and hopefully see you soon! 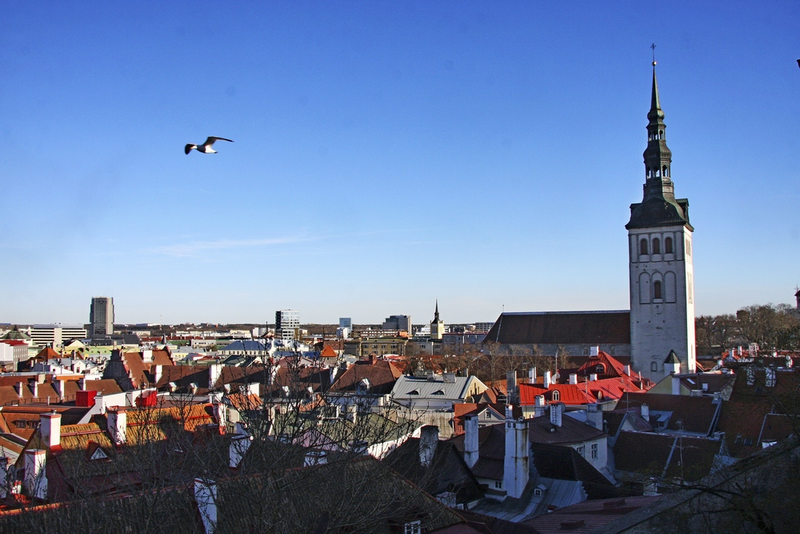 Erasmus semester in Estonia: start-ups in the air. 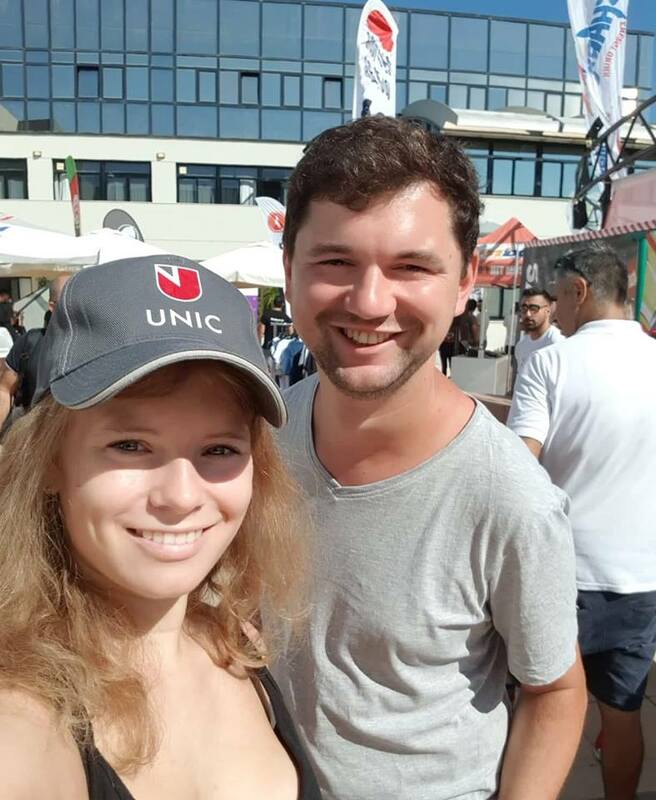 This time International Event-Point interviewed Cornelius Penno, a BMS-student who is doing his semester abroad at Estonian Business School (EBS) in Estonia. Why did you decided to go to Estonia? In general, I love to travel around and to get to know other cultures. Since I have lived in California for 9 months, I always wanted to explore other nations and countries. Thereby, Erasmus offers a great opportunity to go abroad, explore and find new friends. Estonia was chosen out of two reasons. Firstly, because I study International Business with the focus on Scandinavia and the Baltics and it was quite reasonable to go to one of those countries. Secondly, a friend who had studied at EBS from my university recommended to do my Erasmus in Tallinn. While my research about the country and the people I finally decided that is the place where I am going to spent my exchange semester. Where you ready for the semester abroad? I was definitely ready to go abroad again. It was the perfect time to go, because during the next semester I will do my internship (hopefully abroad). Since I don’t need to come back to Stralsund for another semester it was time to cut the ties. Furthermore, I wanted to explore again another culture and gain some experience abroad. What is your impression about Estonia? The country is really an e-country as well as start-up country. Especially Tallinn! Furthermore the weather was really grey and often alternating. It was even snowing last weekend and 2 days later we had the sunniest day since I have been here. Eventually I think the spring is going to come! The countryside is very beautiful. Visiting Lahemaa, the biggest national park in Estonia, will bring a sense of pure nature and on the other side Tallinn or Tartu as lively cities with pretty cool areas like Telliskivi (the Creative Center). 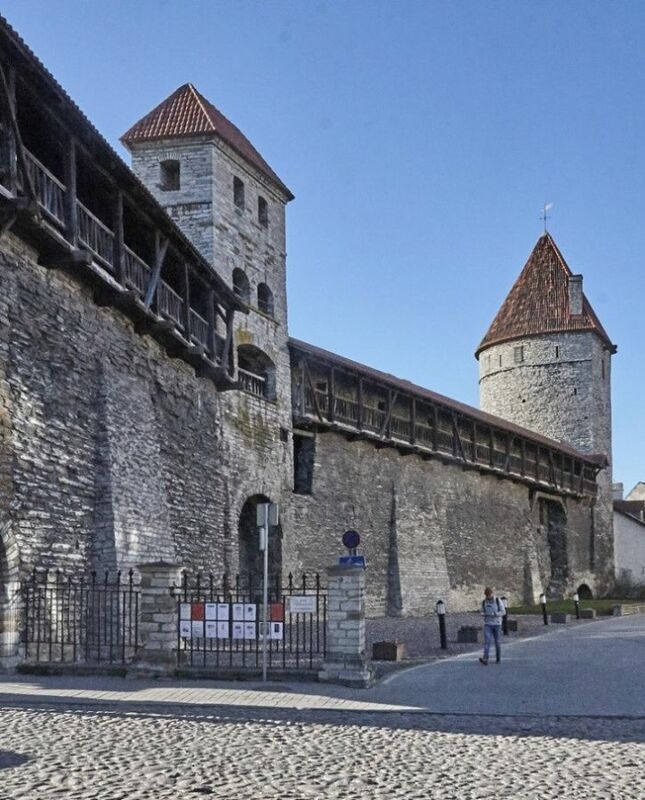 Another pretty cool fact is that Estonia is quite small so there is an opportunity to do nice day-trips, besides Russia, Finland, Lithuania, Latvia and even Sweden are pretty close and affordable to reach. What is your impression about Estonians? Estonians are usually quite aloof, but once they get to know the person a little they are really kind and helpful. Furthermore it always depends on you and your counterparty. Nevertheless it is relatively easy to make new friends. Among that, many young people are already working in start-ups or companies, already founded a start-up or tried to establish a start-up and failed (beside their studies). If you attend Project Management or Business Planning courses or even any other courses – the Estonians will definitely tell: when having a great idea and being convinced about it – make it a business, try to bring it to the market (at least it was my impression). What is different (difficult) for you in Estonia in comparison to Germany? The language is definitely very difficult. I became a player of a local volleyball team and in the beginning it was kind of hard to talk to the people since I could not speak any word in Estonian and they were only Estonians players. Eventually, it took time but right now it is awesome to play with them.I do not want to convey the picture that the Estonians do not speak English. Well they do – pretty well in fact, so communication is definitely guaranteed as long as you speak English. Probably the difficult part is getting used to the grey weather. What is your impression about ESB? The people are friendly, a lot is focused on start-ups and getting the idea to a business (at least at my courses). Furthermore students might have some essays they have to hand in in the middle of the semester or a mid –term exam. So it is a little different, but still feasible. Furthermore, the International Office is very helpful if there are any questions or concerns. 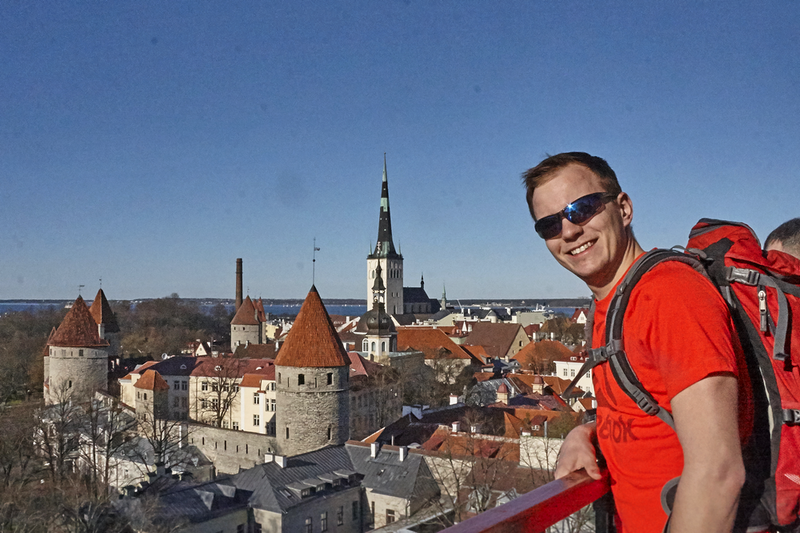 Do you see yourself working in Estonia? I definitely could see myself working in Estonia. It is very lively and exciting. In fact I am looking right now for internships and also found some open positions to which I will send my application to. What are your plans after studying in Estonia? Coming back to Stralsund for a couple of weeks, write some exams left and then going to start my internship somewhere in the world. Thank you forsuch a broad interview! Hey y'all! 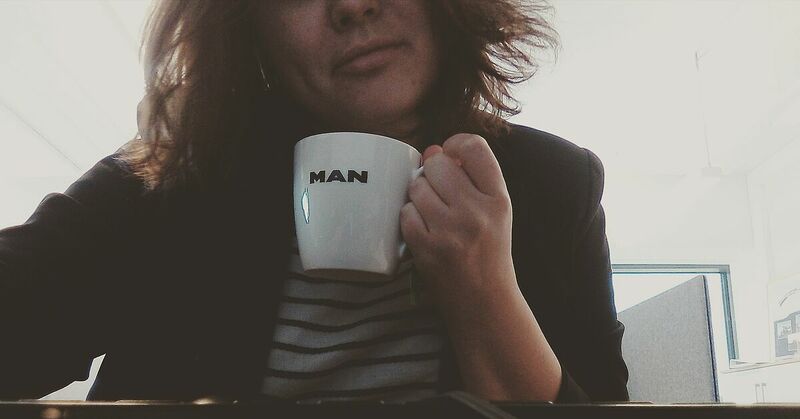 Now it is my seventh semester at Stralsund University of Applied Sciences and I am doing my internship semester at MAN Truck & Bus Norge AS located in Oslo (Norway). 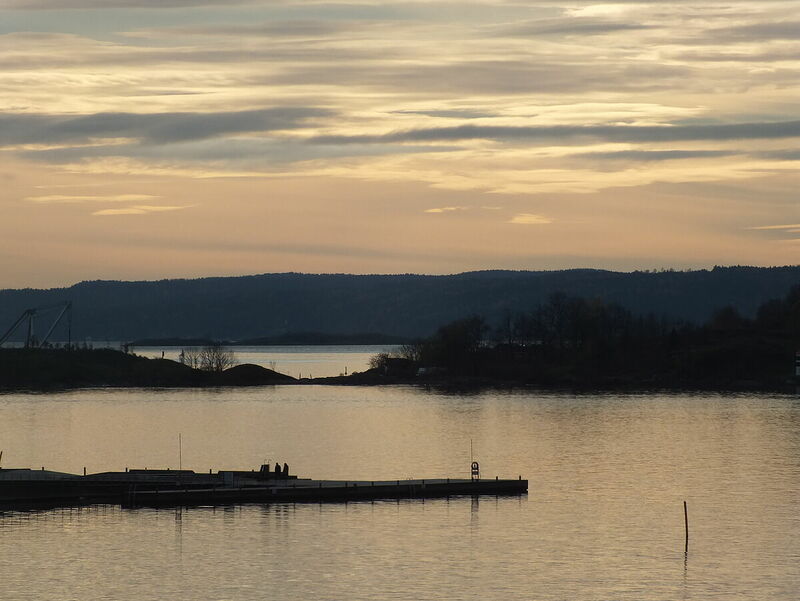 Oslo is the capital of Norway, but it is quite small, only around 700,000 people live here. However, it is still very international; there is variety of different people from different countries you can meet. Mostly you can hear American English and German here. And, as everyone knows, almost every Norwegian speaks English... and it does not really help to improve my Norwegian, but still it is nice to know if I am lost somewhere, I can ask anyone, and they will answer in perfect English. About the internship – a very friendly environment: interns are very independent, have their own tasks, and no one is looking over their shoulder; the organization is flat, no obvious hierarchy, which we had all already learned at our Intercultural Management lectures -> Hofstede was not wrong about it. The office is very comfortable and nice; there is also a canteen with different dishes every day and open salad bar. My area of responsibilities is preparing ad-hoc reports on selected processes of the order and sales offices. The reports are the basis for the strategic management work, which means I assist in collecting information that is valuable for further executive decisions. Apart from that, I do a lot of logistics and sales related activities, mostly dedicated to tax questions. My favorite task is keeping in touch with MAN - service offices all over Norway and informing them on upcoming required service they have to do for their customers. When I have time, I check the MAN-intranet for updates and useful materials, and MAN has a lot to offer, especially on change management and innovations. I would say that now I have a very fulfilled life, work-life balance is totally in place: I work from 8 am till 4 pm, after that I have time and energy to be socially active, do sports, and spend time with my new Norwegian friends. My life outside of work is pretty active too - I joined a student movie club “Cinema Neuf”, there I am now an active member (doing marketing and PR), we usually do screenings of independent Norwegian movies and organize some fraternity parties. Because all team members are Norwegians, I do indeed practice a lot of Norwegian there (start forgetting Swedish instead), and very happy to be around them because it is the most accepting bunch of people I ever met, and they always share with me a lot of interesting facts about Norway, for example, that school kids, who do not attend church, have some kind of their own confirmation, and it is very interesting - they have to spend 24 hours as refugees – it means they are all brought to the forest for 24 hours in November, with one hand full of rice, some warm clothes, a sleeping bag but no tent. This experience shows them what refugees go through (even police chases them time to time during those 24 hours). I do not think I would read things like that in a guide book. Also, I decided to join Norwegian courses, just to have more opportunities to dive into the Norwegian culture. Because Norway works very hard on integrating internationals into the society (at least it is my feeling here), there are some affordable courses at the job center. Besides from that, I usually travel on weekends, go hiking, attend concerts (there is a vibrant underground scene) or just do touristic things in Oslo. There is always something interesting happening! Access to different types and shapes of liquorice. Smågodt (Bulk confectionery) – you just need to try it! The Vigeland park – the park is full of various sculptures which explore the humanity in its’ different forms. Opera House – it is an enormous building which looks like an iceberg. Østmarka – very short hiking near Oslo. Kulturhuset – just a lace to chill, there is very different music all the time, as well as interesting lectures. 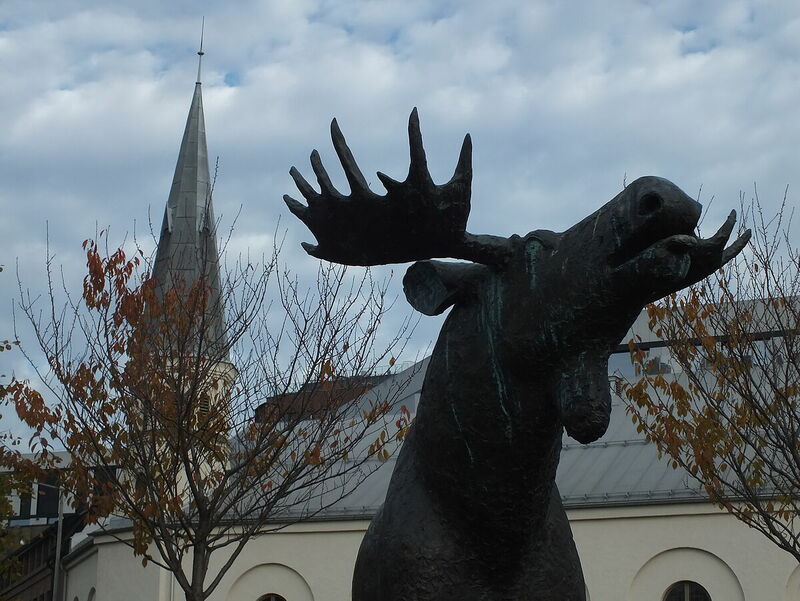 I never thought I would do my internship in Norway, but now I recommend it to everyone: if you want to experience a very welcoming atmosphere in relatively small Northern European capital – go to Oslo! At the moment I am doing an exchange semester at the University of Nicosia (UNIC) in Nicosia - the last split capital city. Before the introduction week, there was an English course, which I took. It did not really need it, but I got to know many Cypriots. They are very caring and friendly. It is easy to get to know them, and they are happy to show you their country. In the first week of semesters, the UNIC offers an introduction week, which is free for students. We were offered excursions, parties and many other events. In addition, the UNIC has a lot of sports and social clubs, e.g. the diving club that I joined. The professors are very understanding and easy to approach. Even though there are a lot of assignments and projects, there is enough time to travel at the weekends. For me, this is the best part of the exchange semester. I saw wonderful places at the sea side and old amphitheatres as I travelled around the island. I can truly understand why Cyprus is called the island where the gods have their vacation.